Regular readers might be a little confused, since I'm actually writing about a Visual Novel that I actually played despite them not usually being something I usually enjoy. 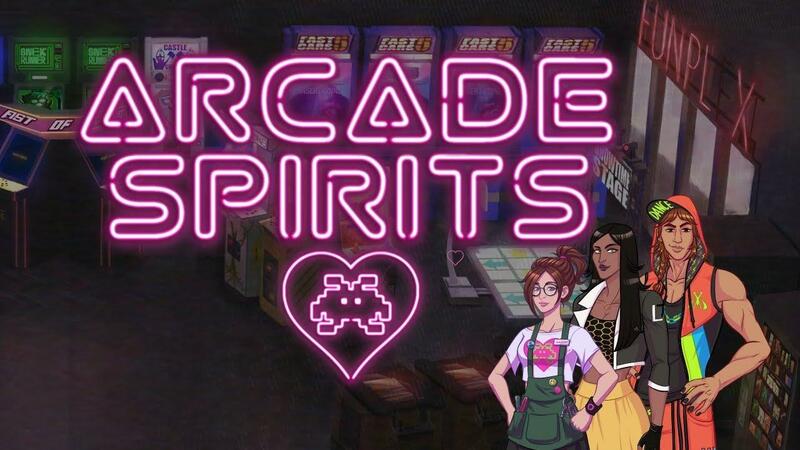 Arcade Spirits actually won me over. It's probably the writing as well as the setting that actually helped me enjoy it here, as a gamer the arcade certainly speaks to me of course. The writing though was a genuine surprise, even early on I thought it was really quite good and somewhat amusing too. There is some pretty good voice acting in it too. It's a little odd though, as you only get small parts of the game voiced while others aren't and you're just reading. Still, it's nicer than no voice acting at all for such a game and helps pull you in a bit more being able to put a voice to the characters which for me is quite important to get engrossed in it. No issues found with the Linux version, everything worked pretty much perfectly. That was also a surprise, as it's made with Ren'Py which I usually have all sorts of issues with but they did a really nice job here. Interesting theme, nice music, great style, fun writing and so I think it's worth a look. You can find it on Steam and itch.io where it's 10% off until February 19th. It's not anime, so it's really a good start!!! Will take a look. Anyone else thought the van was the Mystery Machine from Scooby-Doo? Patola Anyone else thought the van was the Mystery Machine from Scooby-Doo? First thing I thought when I saw the thumbnail. Odd, I did search and itch showed nothing. Thanks, added. The writing is by Stefan Gagne (aka Twoflower), who some might know from his days writing several Neverwinter Nights modules. He's also put out other works of fiction on the web for ages. Some of which I've read and really enjoyed, back in the day. His other stuff is on my to-read list, which is...well, unfortunately huge.